What does it mean to be great? Not just good or fine, but really, truly great. 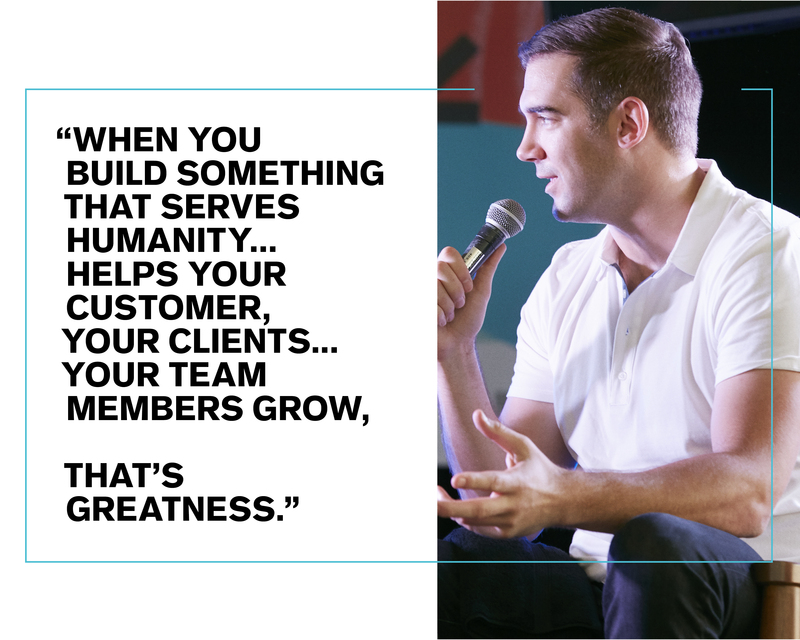 This is a topic Lewis Howes has been exploring for years on his insanely popular podcast “The School of Greatness.” Each episode, Howes goes straight to the source, interviewing athletes, entrepreneurs, and game changers that are all certifiably killing it. Along the way, the former pro-football player has achieved a level of greatness himself, turning the premise into a best-selling book and packed series of events aptly dubbed the Summit of Greatness. His success was certainly no easy feat. The self-proclaimed “dumbest person in class” had to overcome a laundry list of obstacles, ranging from abuse to financial hardship. His journey would probably leave anyone else mentally bruised and battered, but you’d never pick up on it talking to the guy. He exudes an undeniable charm, confidence, and sincere desire to help others unlock their full potential. 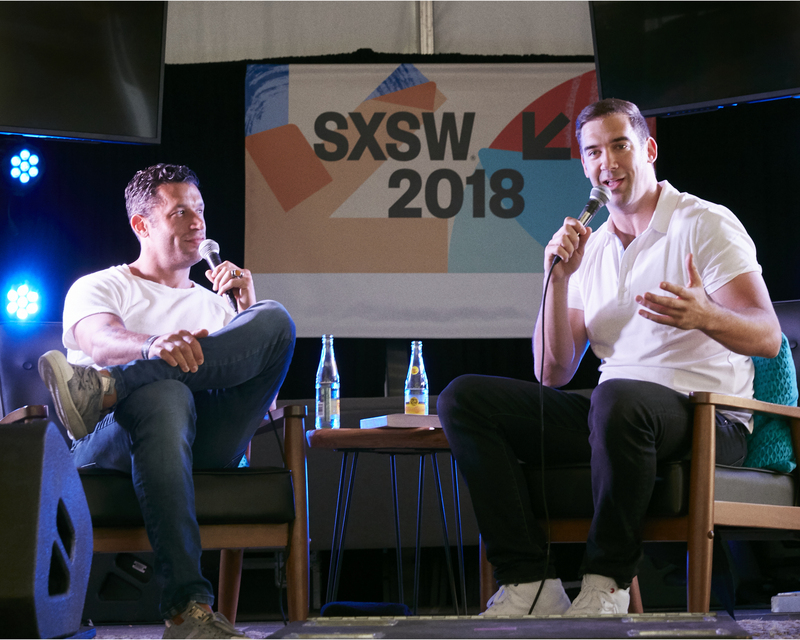 We caught up with Howes at SXSW after he hosted a live taping of his podcast (which you can listen to below) at the Express Bungalow to talk about pursuing a passion-driven career and how to achieve greatness in the workplace. Express: Let’s dive right into “The School of Greatness.” What’s your elevator pitch for the concept? 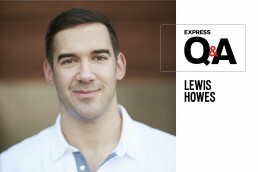 Lewis Howes: It’s a show that helps people unlock their full potential and learn the lessons, insights, and information that they can use for the rest of their life. You’ve talked to a ton of people who are incredibly successful in their fields and industries, from coaches to entrepreneurs. What is it that keeps them striving to do more after they’ve achieved so much? Why don’t they settle? I think it’s their vision. Some people, once they achieve their goals, they do stop. If you stop chasing something that you’re excited about, then what are you doing? I think a lot of these people have pride in wanting to continue to use all of their gifts and talents for as long as they can. Express is delving into work and passion and how those two things can blend together. What does work mean to you in 2018? Is it a 9-to-5? It depends on the season of our life. When you’re starting out, you may not get to do everything you love right away. You’re going to have to work hard to get paid and build your chops. We should be striving for something that brings us joy. That applies to working for a company or if you’re self-employed. We have more options now than ever; we can start our own side hustle or be choosier with where we work. That’s why it’s important for brands to have a mission about why they’re doing what they’re doing. You’ve got to find something you really enjoy doing. You want to work hard doing something that you enjoy. If you’re working really hard on something and you don’t have a mission behind why you’re doing something, then it can become a stressful thing. What does achieving “greatness” mean in the context of work or a career? Greatness is something we all get to define for ourselves. For me, when you build something that serves humanity, that helps your customer, your clients, and that helps your team members grow, that’s greatness. When did you dive into podcasting? Five years ago. Now we’re 600-something episodes in. Was that a format that came naturally to you? I didn’t really know how to podcast or interview someone, but I knew I wanted to connect with people, learn from them, and share those insights with the world. Podcasting seemed like a natural format for that. But I had no clue what I was doing. I’m still learning how to get better. Were there any barriers you had to overcome in order to bring your side hustles to life? Yeah, I had no idea what I was going, being afraid of failure, not having resources, not having the connections. All those things. But I had a clear vision of what I wanted. So I was willing to push through the challenges to make it happen. Otherwise, I would have stayed broke on my sister’s couch, struggling and making excuses. Do you have any wisdom for someone who may have a budding side hustle or even a seed of an idea that they’re wary of jumpstarting? Launch it before you’re ready. If you have an idea and you’re excited about something, see if someone will actually pay you for it first, before you even create it. Don’t think about getting the website and logo perfect and having everything figured out. It’s going to evolve anyway, so just get those customers. Then figure it out and improve it as you go. See if you even like it. It might be a cool idea, then you get into it six months later and you’re like, actually I don’t love this. Sell it first, see if people are actually interested and willing to pull out their wallet. Then you know you have something. How important is personal style to one’s success? It’s very important because it’s about feeling comfortable and confident by the way you carry yourself to meetings, work, in relationships. It affects the way you show up in life, how you connect with other people. When you have personal style that you’re proud of—it doesn’t have to be flashy—that makes you feel good, you’re going to show up differently. In football, we’d always say, “Look good. Play good.” We wanted to have nice uniforms. We wanted to be fresh. We wanted to look nice because we’d feel better once we entered the field. If we had crappy, stained uniforms with holes in them, we’d feel it. Look good. Feel good. Play good. Express is doing a great job of creating clean design for people to have this aesthetic that they can be confident and proud of when they show up in life. That’s what it’s about. 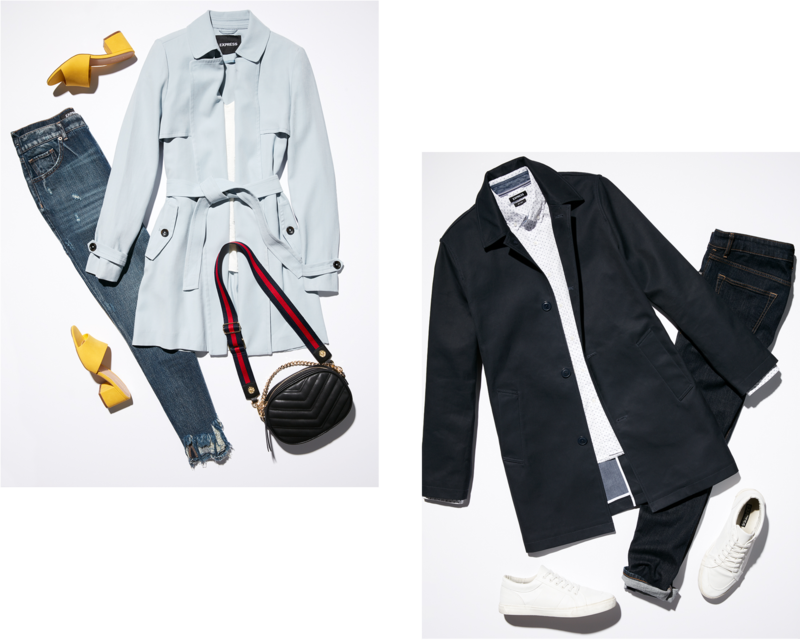 Create your own polished look with our Women’s and Men’s Wear to Work Collections. Is there any advice you wish you had when you were younger? I’d say find really inspiring people to surround yourself with. Early on, I hung out with people that weren’t inspiring, that had bad attitudes. It rubbed off on me. When I met people who inspired me, it started to transform my life. Be really careful and intentional with who you want to surround yourself with. Even at work! Don’t take a job because it’s a job. Think about how these people are going to inspire you and help you grow.